In the center of Willamette Valley’s wine country is the vibrant city of McMinnville. With so many parks, wineries and diversions downtown, hiring Maid Brigade’s cleaning service to tend to the housework is a smart idea. Why miss out on all the city has to offer when you can call us to tidy up your living room and wipe down the countertops for you? Perhaps your children are passionate about sports. With 18 parks throughout the city, let us clean your living space while you sign your children up to play in a soccer or softball league at Joe Dancer Park. Maybe Fluffy feels neglected when you spend all your time changing bed sheets and scrubbing shower tiles, take him to run around and play fetch at Riverside Dog Park and we’ll take over your house cleaning duties. Feeling stressed because your brother and his family are coming into town to visit? Instead of focusing on the important things, like meal planning and deciding on which attractions to visit, you’re worried about dusting your entertainment center and making the guest room sparkle. Hire our maid service get your home guest-ready and you’ll have more time to go grocery shopping and plan the itinerary before they arrive. Then the only thing you’ll have to worry about is whether to go take them to a wine tasting or brew house! Deciding on the right cleaning service in such a bustling city may be hard. But with Maid Brigade nearby it’s actually quite simple. Unlike traditional house cleaning companies, we provide a unique service: green cleaning. As a Green Clean Certified® cleaning company, the products we use and procedures we follow are eco-friendly and virtually harmless to your health. 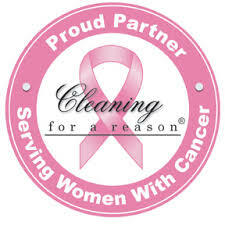 With great concern for the well-being of our clients and their families, we use cleaning supplies that are free of harmful toxins and carcinogens, vacuums that improve indoor air quality and color-coded microfiber cloths to eliminate cross-contamination between rooms. These and other holistic cleaning methods help us to leave you with a safe indoor environment when we’re through cleaning up. Hire Maid Brigade’s McMinnville maid service to make your living space shine and you’ll never have to miss another downtown outing with girlfriends or cancel dinner reservations with your main man again. Say “goodbye” to cleaning projects and “hello” to living your life by contacting your local Maid Brigade office today!